Last painting at the family vineyard before packing up and heading to Hong Kong. Random fact, I crashed my brother’s motorcycle on this very spot when I was fourteen. Good times. 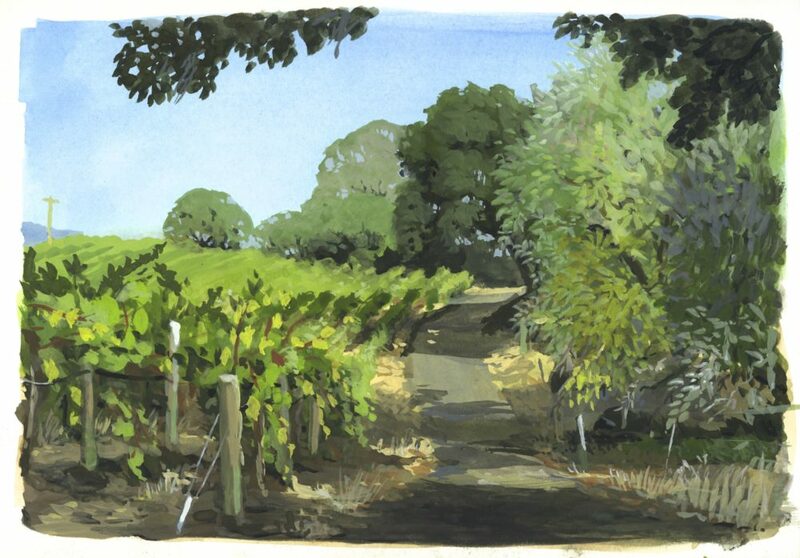 Painting in the Family vineyards.